It really likes me x). 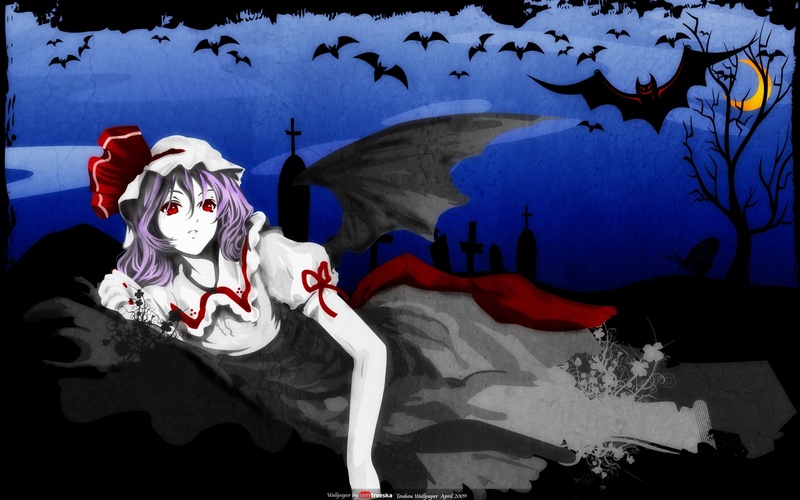 Touhou design is cute x3, you made a simple but nice wall! I love your work, thank you so much. Excellent wallpaper keep up the good work. I like the red eyes and purple hair! COOL.